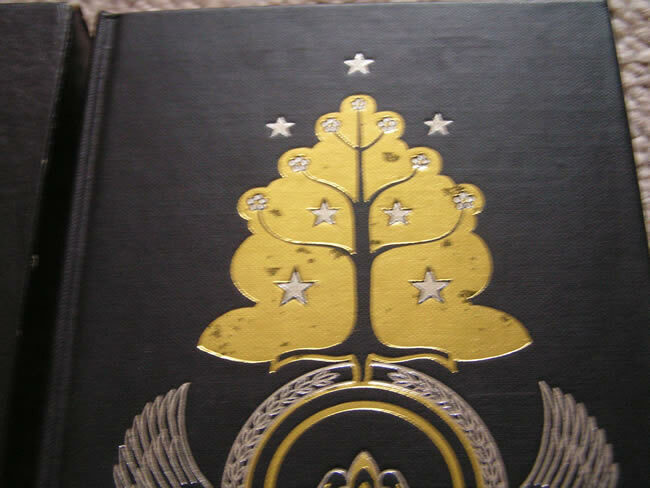 In excellent condition overall with minor rubbing to gold leaf frontispiece. Complete with slipcase. 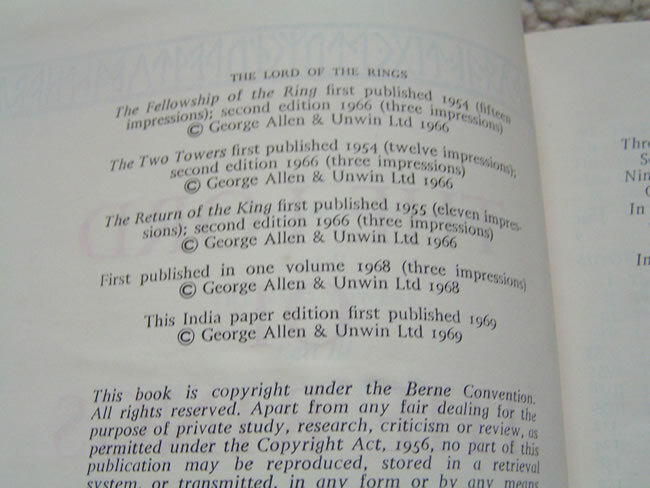 This is the 1st impression of the one volume De Luxe Edition of the Lord of the Rings, published by Allen & Unwin in 1969. A Very Good Plus copy of the book, it has the slightest of rubbing to the gilt on the front stamped design, otherwise Near Fine. 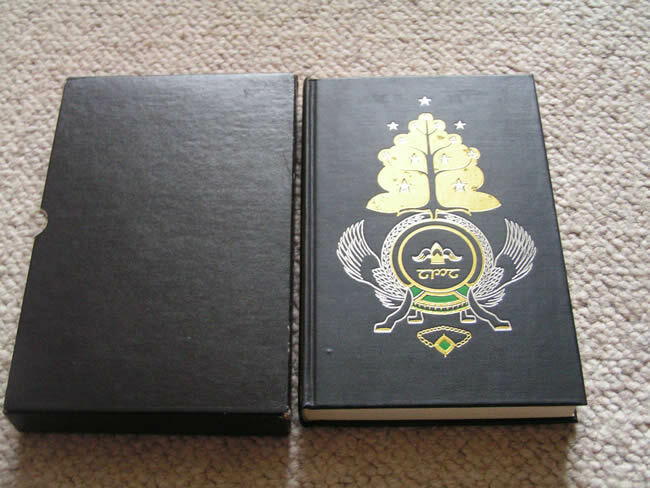 The slipcase shows some wear to the edges, but has protected the book for almost 40 years. Housed in the original publishers slipcase, only the 1st & 2nd impressions were issued with the slipcase. Both maps bound in, and in Fine condition, no tears or loss, the slightest offsetting to the rear map.